LG has confirmed that it will launch its first 5G smartphone at MWC 2019 in Barcelona, Spain. The news isn't a surprise as we expected the company to jump on the 5G bandwagon soon, as LG committed to making a 5G phone back in August 2018 after it announced a partnership with Sprint to bring a 5G handset to the US. The LG 5G phone launch date is set for February 24, and TechRadar will be reporting live from the show to bring you all the latest on what the phone has to offer - although LG has already revealed a few of the features in a blog post. You will find the new Snapdragon 855 chipset inside LG's 5G smartphone, along with a sizable 4,000mAh battery - which is 20% larger than the power pack in the flagship LG V40 ThinQ. 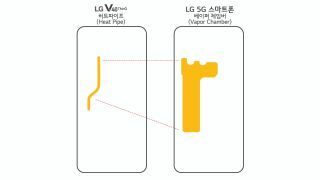 Another confirmed feature for the 5G phone is a vapor cooling chamber for thermal management, and the chamber size has been increased by 2.7 times over the V40 ThinQ's heat pipe, which should mean it should keep cool even during heavy lifting tasks. LG says its 5G phone will initially be available in South Korea, North America, and Europe, although the exact release date and price are yet to be revealed. The LG 5G phone could well arrive alongside the rumored new flagship LG G8 at the firm's MWC press conference - but we'll have to wait and see if it does.